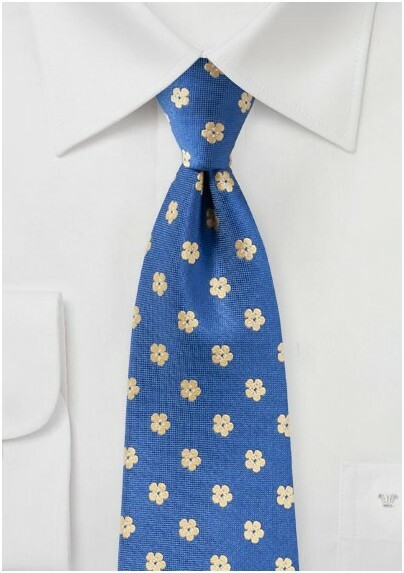 The moment we added this new floral tie to our site we knew that the combination of color and pattern will create an instant favorite . The matte French blue background has a hint of teal and indigo that is nicely complimented by the golden woven flowers. 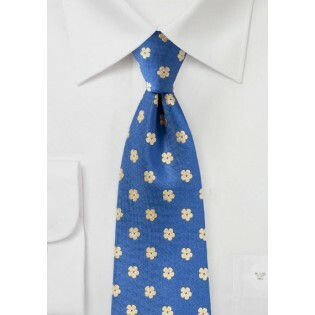 A nice summer tie for tan linen suits, navy wool suits, or just your favorite casual sports coat.